Britain’s largest supermarket chain has solved one of its problems. Poaching a top-class CFO from retail rival Marks & Spencer relieves pressure on much-criticised CEO Phil Clarke. Tesco can now focus on its bigger challenges: capital allocation and investment returns. 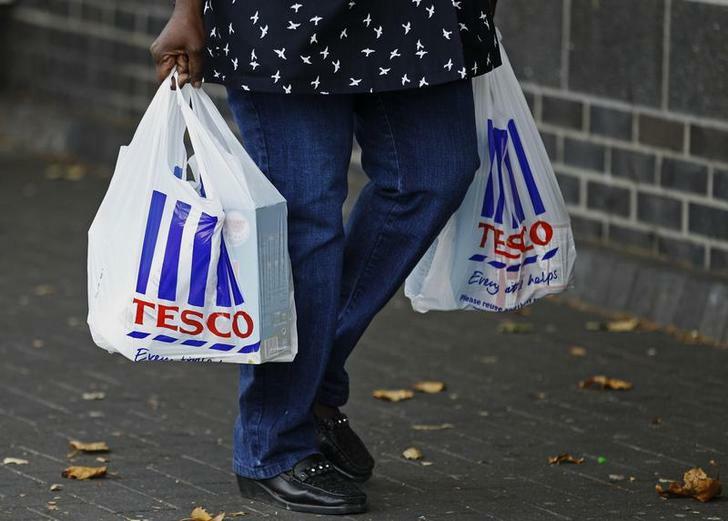 A shopper carries bags of shopping from a Tesco supermarket in London. Marks & Spencer Chief Finance Officer Alan Stewart has quit to join Tesco in the same role, jumping ship from one struggling British retailer to another, it was announced on July 10. Just two days after helping M&S Chief Executive Marc Bolland present first-quarter sales, Stewart left Britain’s biggest clothing retailer to join the world’s third-biggest stores group on an increased salary and with a 1.7 million pound ($2.9 million) golden hello.